A day after three JNU students resigned from ABVP citing ideological differences on Kanhaiya Kumar's arrest, the BJP is in for more criticism - this time from its ally. According to Sankarshan Thakur, the Delhi-based editor of The Telegraph, Union Minister Ram Vilas Paswan has lent support to Kanhaiya Kumar, who was arrested on charges of sedition for allegedly shouting anti-national slogans at a pro-Afzal Guru event in JNU. 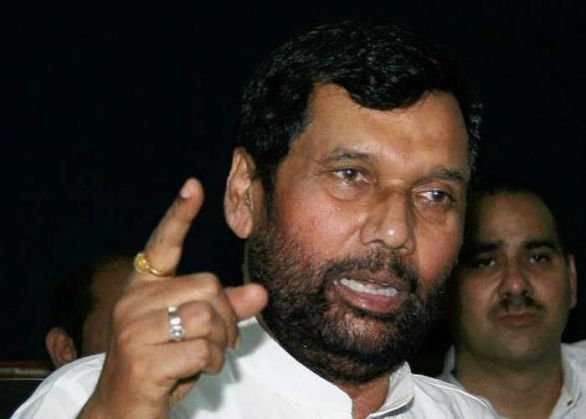 According to Thakur's tweet Paswan also recalled excesses committed by the government during the Emergency, imposed by then Prime Minister Indira Gandhi. Another ally PDP, with whom BJP is still negotiating the terms of government formation in Jammu and Kashmir, has also spoken against the slapping of sedition charges against students. Meanwhile, the Supreme Court will hear Kanhaiya's bail plea tomorrow. On 17 February, Delhi Police Commissioner, who has been under attack for being "over enthusiastic" in arresting Kanhaiya, said that his department would not oppose the JNUSU President's bail plea. However, he remained firm on his stand that the Police had enough evidence to prove Kanhaiya shouting anti-national slogans during the 9 February event.